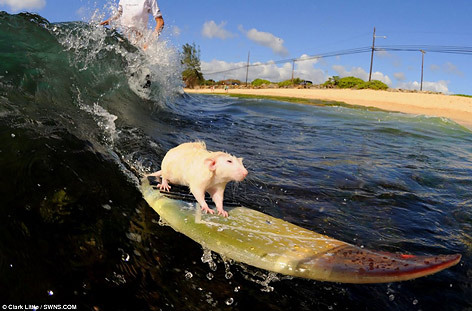 Mice aren’t the most water-loving creatures in the world, but apparently Australian Shane Wilmott has trained his three little mice not only to love water but also to ride the waves on surf-boards. Shane says this way he has merged his love for surfing and for his three little rodent pets. .